I love water features. Unique water features are usually what sticks in my mind after visiting a garden and the gardens of Buffalo are no different. As I sit at home on this cold (winter?) 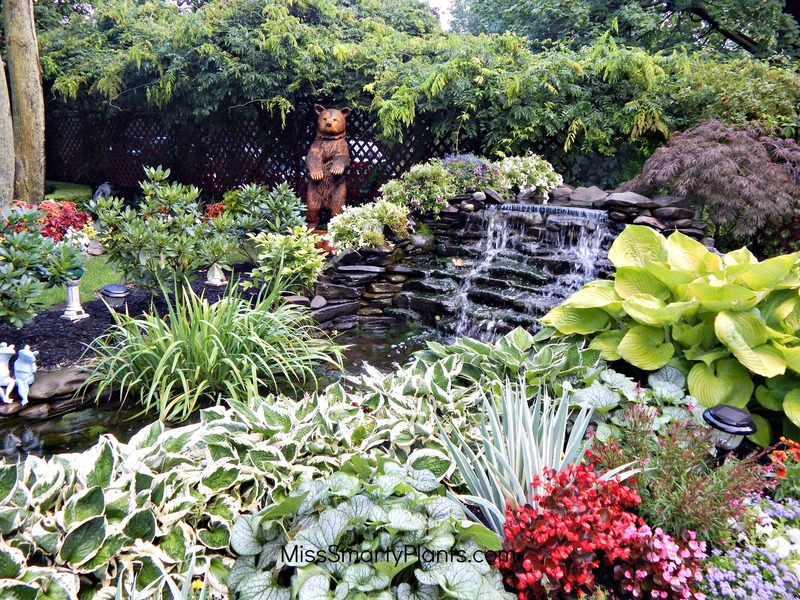 day, I am looking back fondly at the photos of beautiful private gardens in Buffalo, New York from last August. 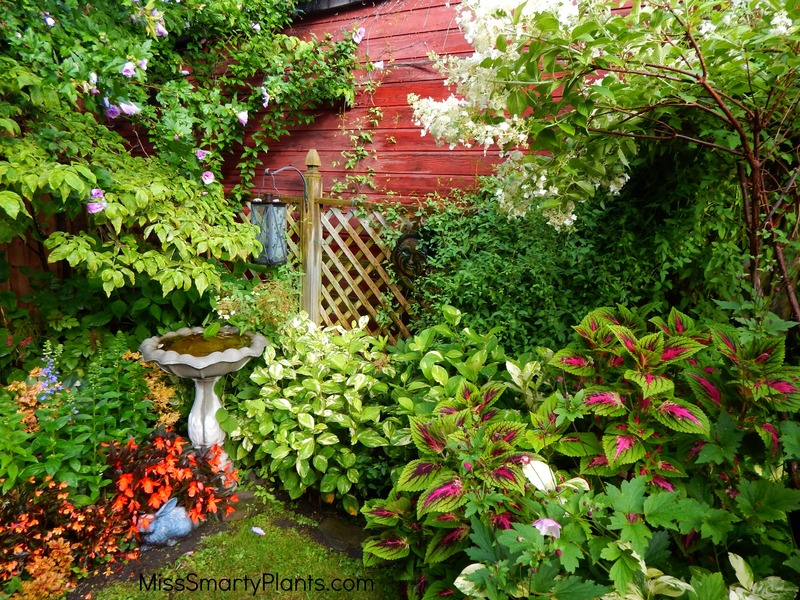 You want to see great, creative gardens? 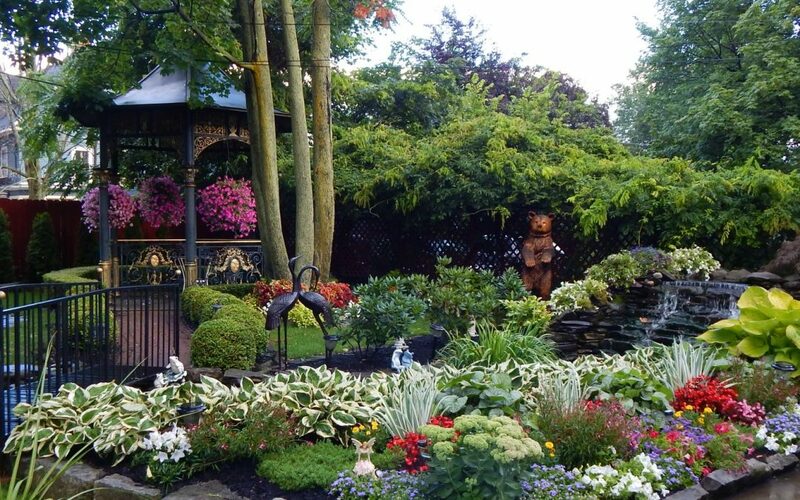 Go visit Buffalo for their Garden Walk this summer! 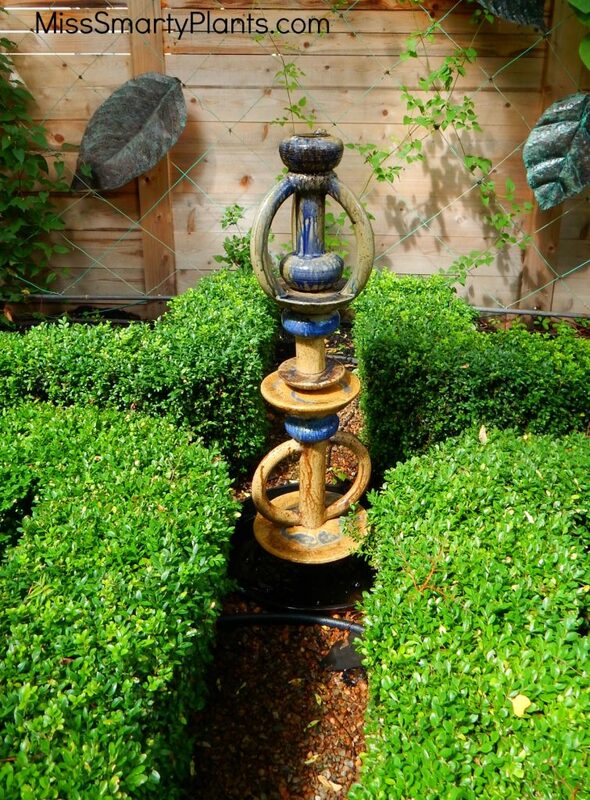 Possibly my favorite, the photo below shows this great large fountain, probably 4 feet tall, with a hidden basin underneath and a recirculating pump. I have no idea how the hole was drilled through to contain the plumbing, or if this is possibly a faux stone, but it definitely is a water feature I would want in my garden. I almost don’t know where to start! But looking through these images the unique water features that these gardens showcased were so wonderful I thought they deserved their own recognition. 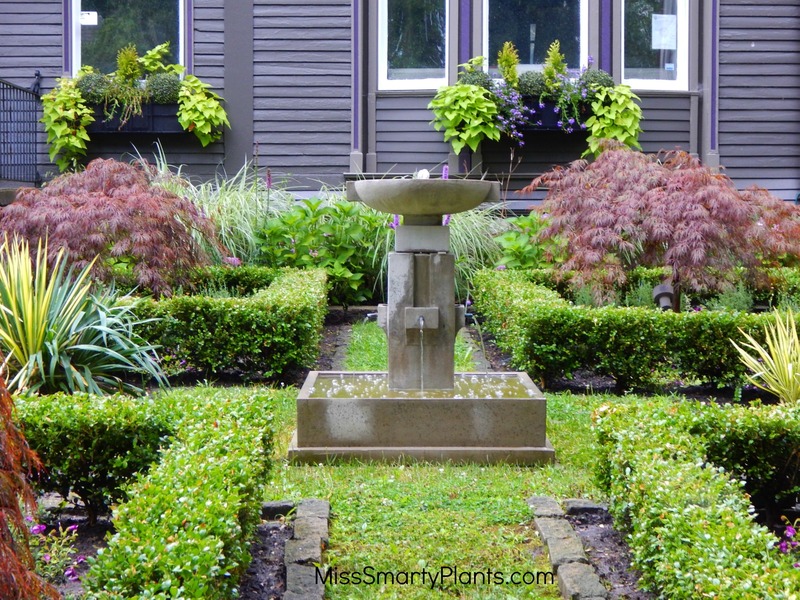 If you are considering adding a water feature to your garden, whether it be bird bath, reflection pool or fountain, I hope you find inspiration in these photos. A fountain with a pool at the bottom is hard to beat. Perhaps a small pool is enough for you? 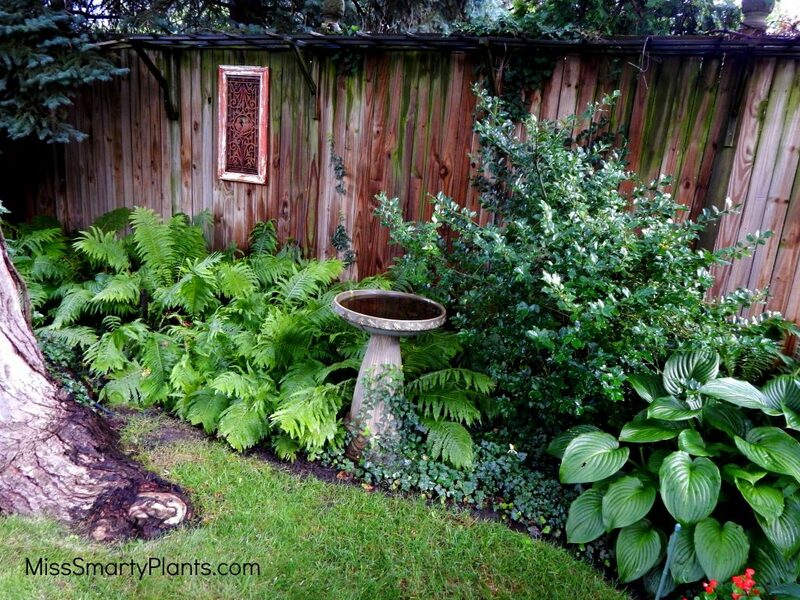 This garden water feature will provide water for birds and wildlife and be very simple to install. 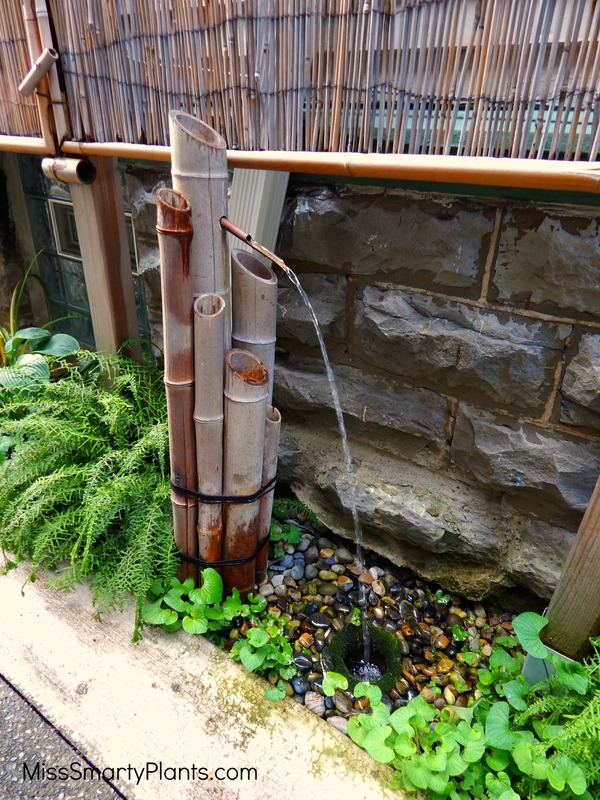 This small water feature was in one of my favorite gardens from the tour. 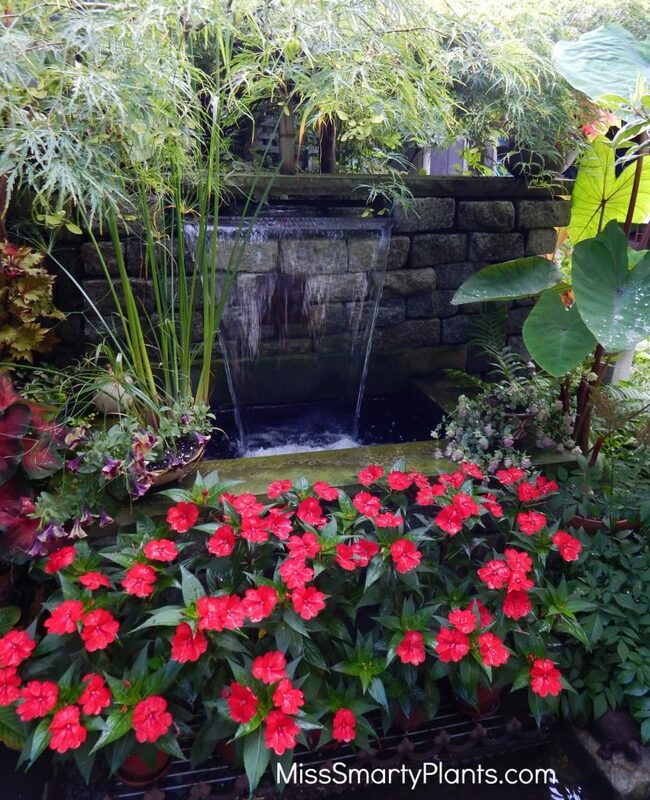 It was tucked in among the plantings, yet the sound of a small trickle of water permeated through the gardens. Perfect. 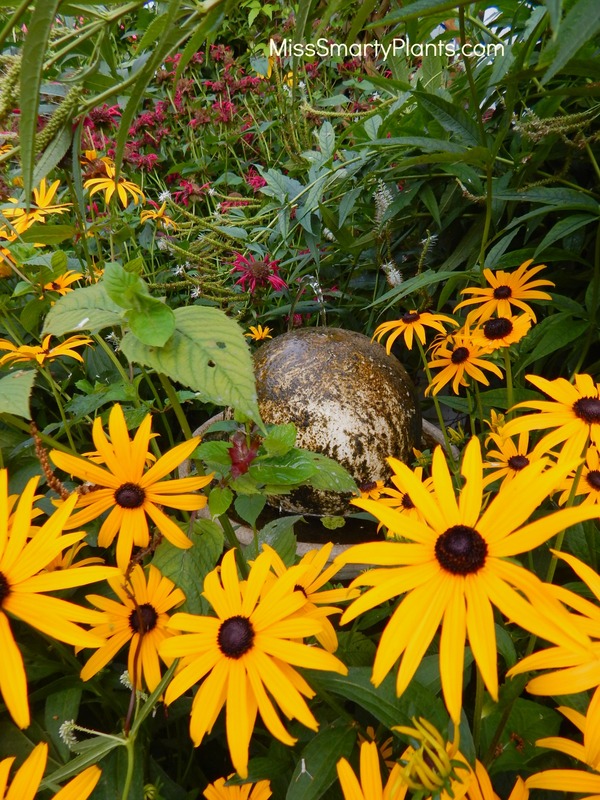 A birdbath is an easy way to provide water for birds and wildlife and can be moved year to year or throughout the season. 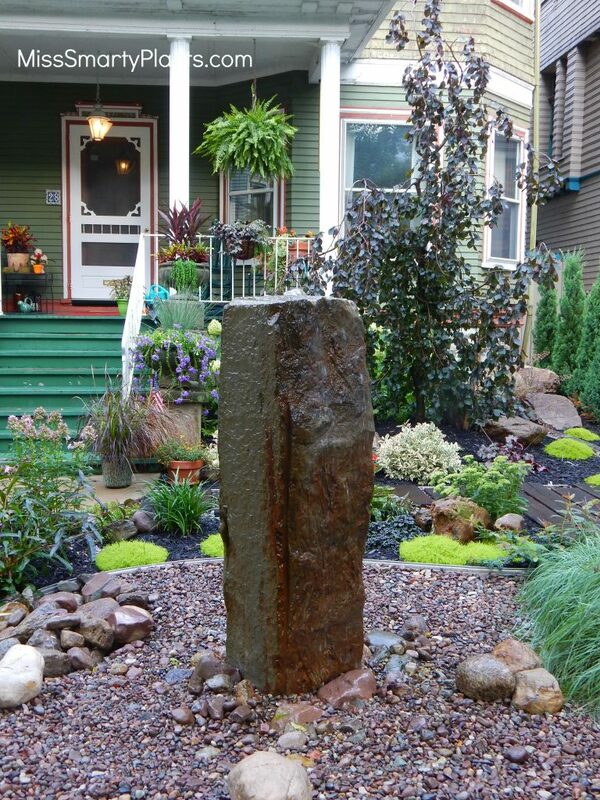 Simple and not taking up too much space, this fountain was tucked into a small side strip next to the drive. 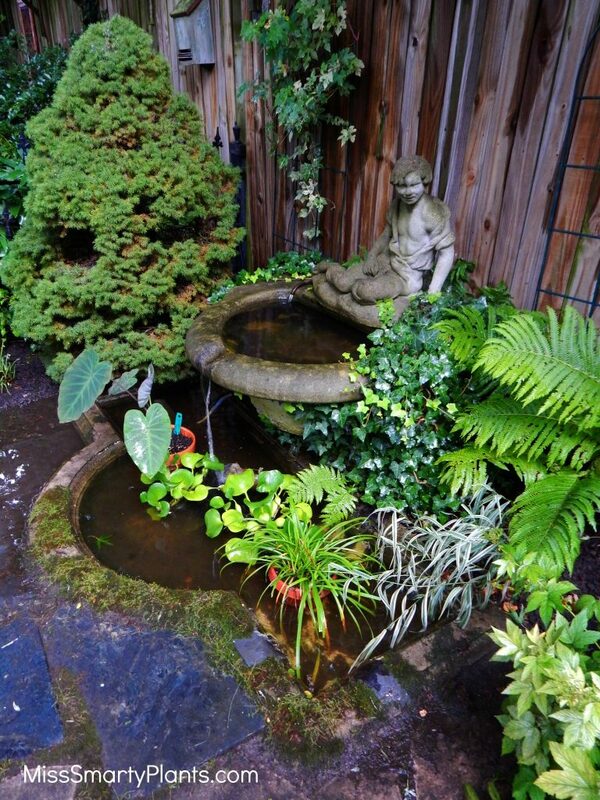 The sound of water next to a seating area is a huge benefit of this water feature. 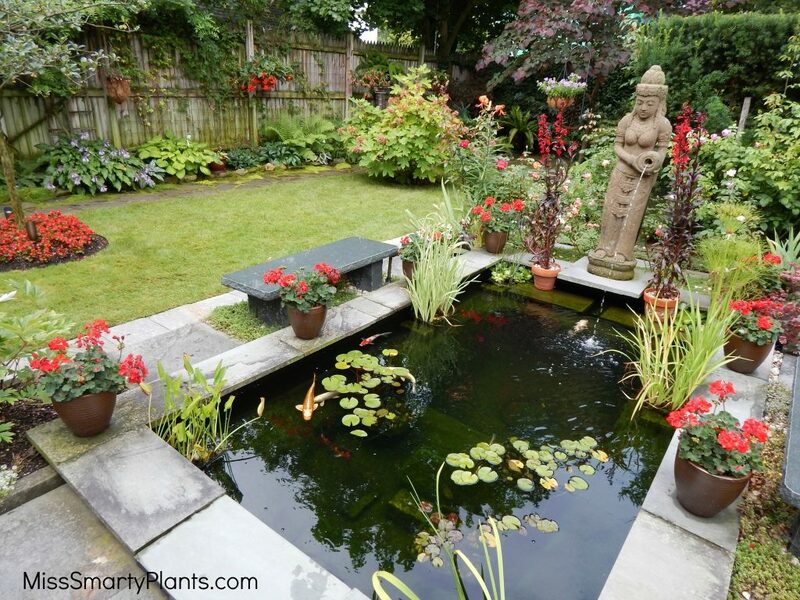 One of the more elaborate, this pool is certainly the focal point of this garden. 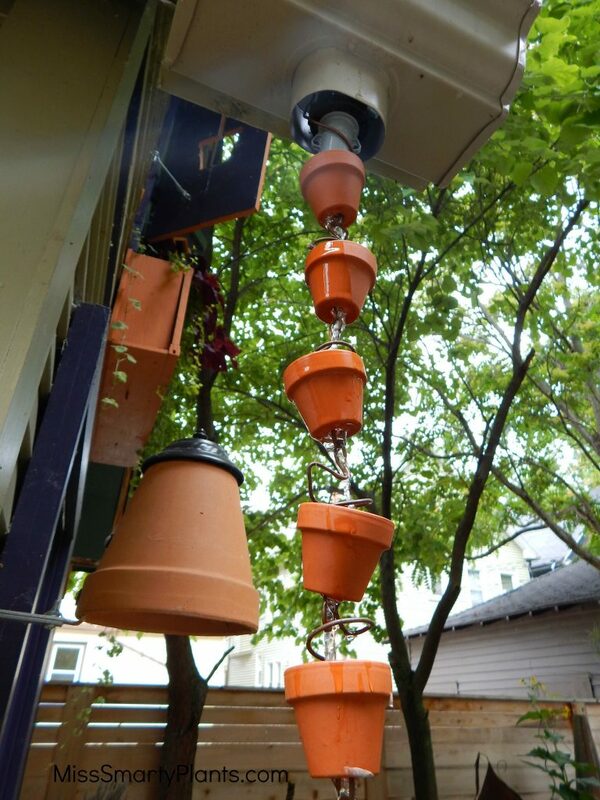 Yes, this works for rainy days, but this was also plumbed with a recirculating pump to add the sound of a trickle of water– even during the sunny days. 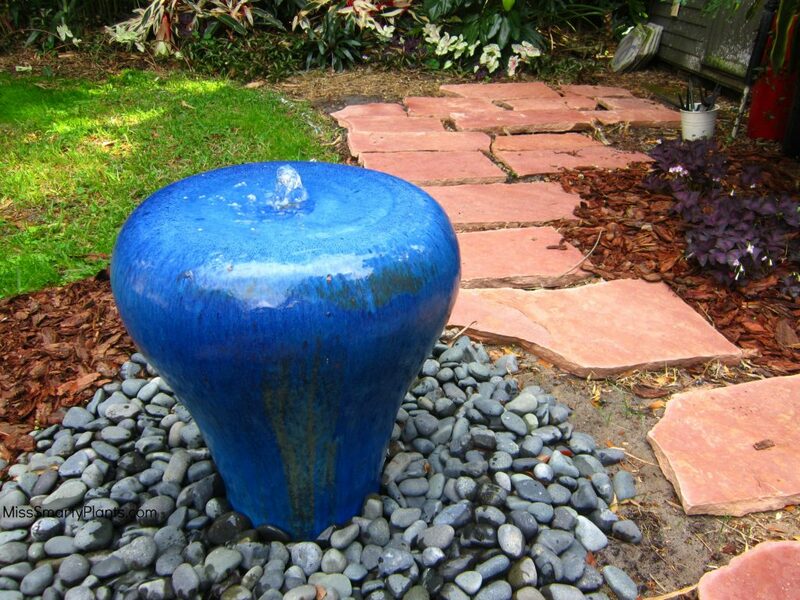 With individual pieces from a ceramic artist, this fountain is truly a unique piece of art. 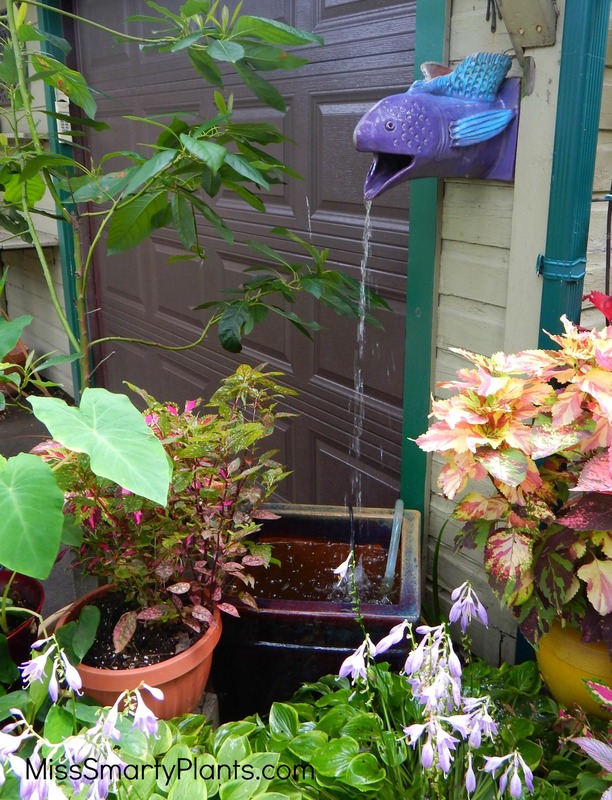 This whimsical fish/serpent/fountain adds a fun water feature and without too much water flowing, actually adds quite a bit of sound.